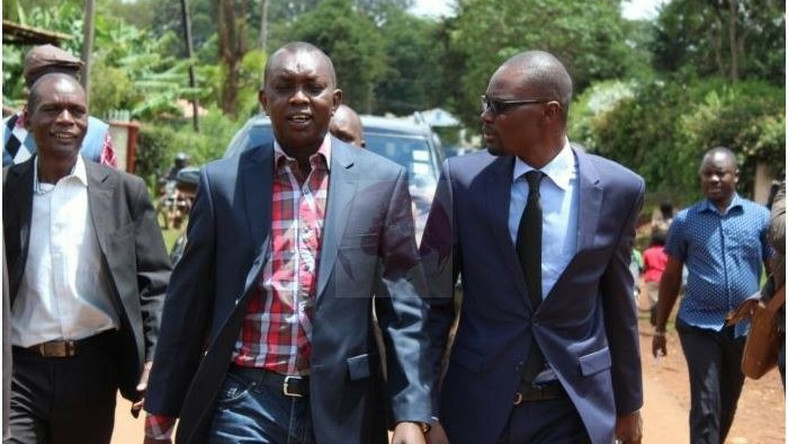 Friday April 12, 2019-As the political temperatures continue going high regarding the spirited fight against corruption and the 2022 General Election, Kapseret MP Oscar Sudi has denied the allegations peddled by the ODM Party Secretary General, Edwin Sifuna, that he is seeking amends with former Prime Minister Raila Odinga on behalf of Deputy President William Ruto. Sifuna had alleged that the Kapseret MP was DP Ruto's agent and was secretly meeting the ODM leader to reconcile with the party boss. But venting on Facebook on Wednesday evening, Sudi denied playing a role to bring Ruto and Raila together. "Never have I taken such assignments and therefore Sifuna's sentiments should be treated with the contempt it deserves," Sudi wrote on his Facebook page. He noted that Sifuna lacks ideas to express himself, noting that it is his constitutional right to speak as the law allows freedom of expression. "I want to say that I speak for myself as an elected leader and no one can influence me whatsoever. Furthermore, I am fully entitled to my comments and statements I make. No Kenyan should buy ODM's crap that is full of deceit, deception and fabrications," he added.